At Hope’s Vision Eye Care Center in Mount Joy, PA, we typically spend 20-25 minutes with a patient – an average of 3-4 times more than what most eye doctors & ophthalmologists will spend with you. We believe this additional time is critical to providing you with the best overall eye evaluation and eye care in a comfortable setting. As a Hope’s Vision patient, you are important to us any time of day or night. If you ever have a problem with your eyes, call us immediately at 717-653-5559. Nothing is more important to your vision than a thorough and accurate eye exam. 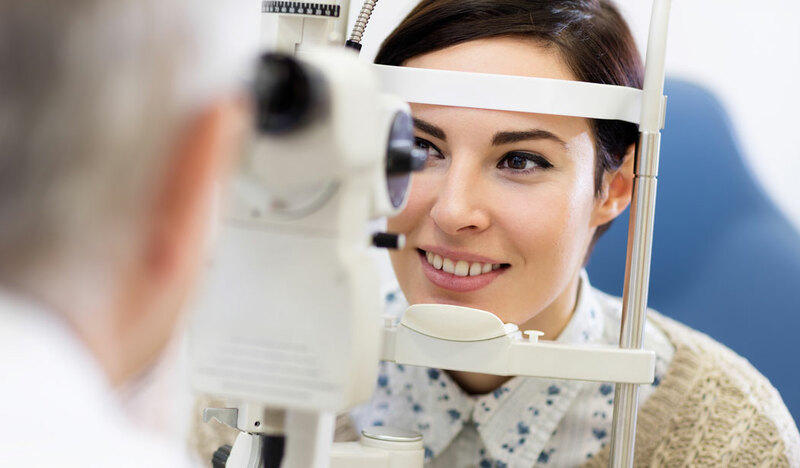 Our experienced staff at Hope’s Vision and our state-of-the-art optical exam equipment ensure that you receive the most accurate prescription and that you’ll be comfortable throughout the entire process. We offer customized eye care plans for local businesses. We can work with your insurance companies or consultants to create a plan that will benefit you and your employees. There have been several major advancements in contact lens technology. Whether you’ve been wearing them for years or you’d like to try them for the first time, our skilled optometrists can help. Hope’s Vision offers a complete line of prescription eyewear for athletes. 90% of sports-related eye injuries are preventable with the proper use of protective sports eyewear. Rec Specs™ is the world’s leading brand of high quality protective eyewear designed specifically for sporting applications. With early detection and careful management, significant damage to your eyesight from glaucoma is nearly always preventable. Careful management of this disease including regular dilated eye exams is essential to maintaining your vision. We use the very latest technology to identify glaucoma and also offer effective glaucoma treatment. The initial diagnosis isn’t always clear cut and simple, since individuals vary in their susceptibility to eye pressure. We’re always careful to consider any additional risk factors that may contribute to your possibility of vision loss from glaucoma. As a Hope’s Vision patient, you are important to us any time of day or night. If you ever have a problem with your eyes, call us immediately. All patients receive access to emergency eye care 24/7. An emergency phone number is on our answering machine at 717-653-5559. We also offer corporate and factory emergency services for employers in Lancaster County. If you have an employee who sustains an eye-care injury on the job and needs immediate attention, you can establish a partnership with Hope’s Vision to provide 24/7 emergency eye care services. To learn more about our emergency services, click here. Need to Visit? Click Here to Schedule an Appointment. Call us today to learn more at 717-653-5559.